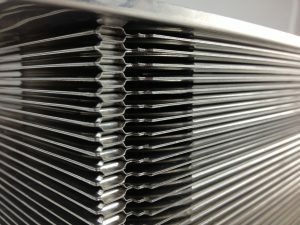 Senior Flexonics Engineers and manufactures durable, lightweight, thin walled (0.25 to 0.5mm) plate style cooler designs that are highly resistant to fouling. 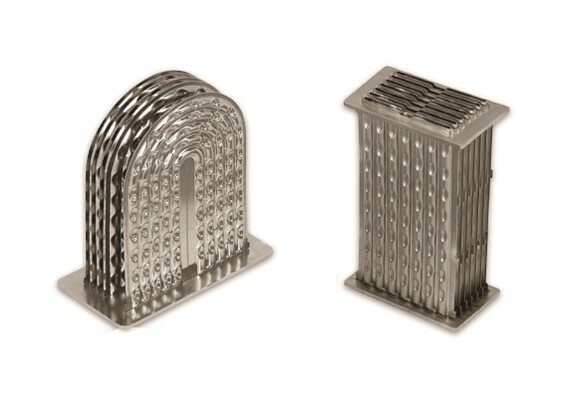 With an effectiveness up to 95%, Senior Flexonics is able to Engineer plate coolers to match your performance requirements. Designed to withstand low thermal stresses and high cyclic pressures they offer excellent corrosion resistance. We offer plate style coolers in ‘I’ or ‘U’ configurations that are well suited for medium duty engine applications. Off highway applications - i.e. Backhoe, Compaction, Excavators, Handlers, Loaders etc.